Treadwell­’s RailEX® FRP handrail system is a patented industrial rated composite handrail system which combines strength, durability and versatility with all our fittings. 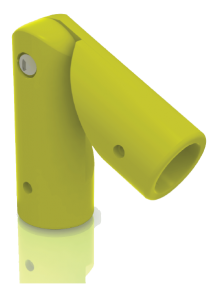 This means the fibreglass handrail system is ideal for use in numerous applications in a vast range of industries. Treadwell can supply RailEX® as components or as fabricated handrail panels ready for the next safety handrail systems installation. Unlike traditionally welded alternatives, Treadwell FRP handrail system designs disposes the need for drafting, engineering and onsite fabrication while minimising installation costs. 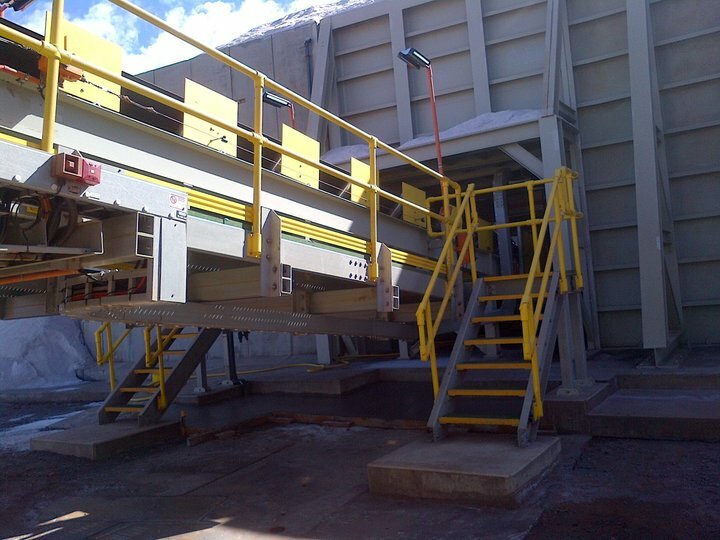 Treadwell's safety handrail systems can be adapted or extended with additional components, or cut to size on-site. Pre-engineered kits are supplied as a series of components with simple assembly instructions. With our clients in mind, Treadwell aims to minimise the cost of maintenance and repairs, and damaged components with easily with spare parts, available ex-stock. As an added benefit, fibreglass handrail kits are assembled via a simple, zero weld construction method; reducing the chances for corrosion activation. 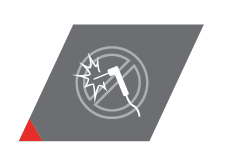 Treadwell’s RailEX® designs and fittings effectively eliminate the need for specialist trades, hot works permits, fire spotters and welding protection to finished surfaces. Our selection of FRP increases safety conditions for installers by eliminating toxic fumes, welding in wet areas and fire risk hazards. Developed by Treadwell with the consult of designers and plan operators, at last there is a system that offers you all the benefits of a traditional guardrail system without the inherent problems such as corrosion, wielding and the need for hot works permits for onsite modifications. Our unique safety fibreglass handrail systems are a first to be tested and conformed to the Australian Standard AS 1657 – 2018. Their characteristics include resistance to corrosion, non-conductive properties, customised fabrication and a long but low maintenance based design life. With the flexibility to supply handrail as either components or modulated panels to suit your exact requirements, RailEX® is definitely the “fit and forget” safety handrail system. RailEX® FRP handrail is constructed from fiberglass rovings combined with a blend of thermosetting resin systems. All of the resins used in the production of EX-Series® products contain UV inhibitors and fire retardant additives. Developed to compliment Treadwell’s extensive range of corrosion resistant structural solutions, RailEX® offers the ideal solution for the harshest of destructive, corrosive and chemical laden environments, both inside and out. All of the RailEX® components are completely manufactured from FRP and are coated with a two pack UV resistant coating to provide the peace of mind that premature breakdown of the product will not result from exposure to the elements.